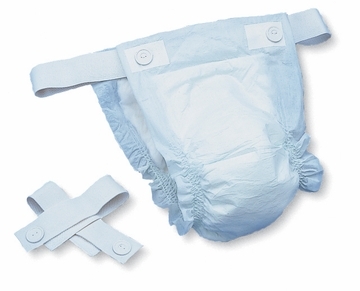 The thin design and super absorbent core of Medline Protection Plus undergarments keep patients dry and control moderate flow. Super absorbent polymer improves dryness, containment and skin care. Extra wide belts are comfortable yet secure. Cloth-like outer cover.